The State of Curiosity Report 2016* found that 8 out of 10 workers agree that curious colleagues are more likely to bring ideas to life. Yet, 67% of workers feel they have experienced at least one barrier to practicing curiosity in the workplace. What is standing in their way? Is your organization ready to reap the benefits of curiosity? 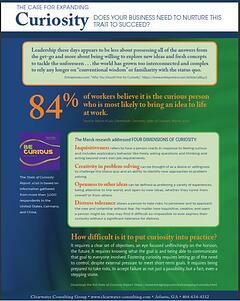 Only 9% of workers surveyed feel the organizational culture at their workplace is extremely supportive of curiosity. We can help! 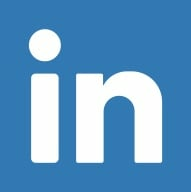 Clearwater Consulting Group works with organizations committed to creating cultures of engagement that nurture curiosity. We collaborate with leaders to implement change strategies, as well as develop and execute modern learning initiatives that drive performance outcomes. Contact us to find out how Clearwater’s expertise and solutions will help your organization thrive.